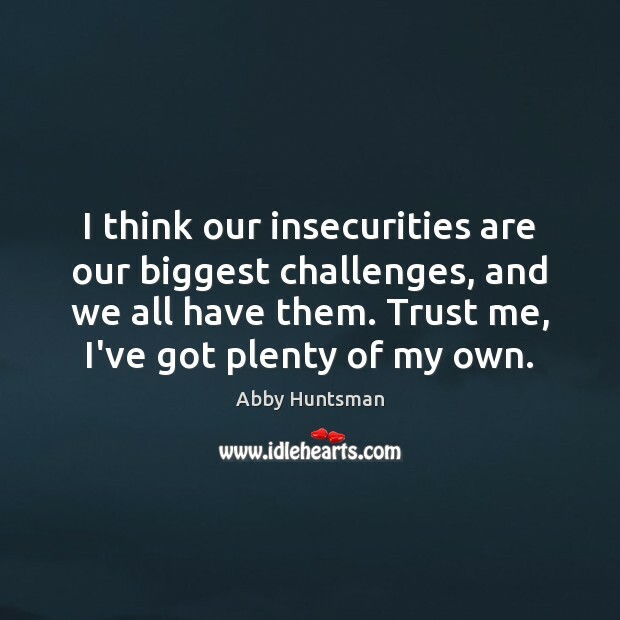 Enjoy the best inspirational, motivational, positive, funny and famous quotes by Abby Huntsman. Use words and picture quotations to push forward and inspire you keep going in life! You never know what's going to happen, so I get up at 6 a.m. every morning. It's a new wakeup call for me, for sure. But you just want to be polished. That way, if anything happens, I'm ready to go. 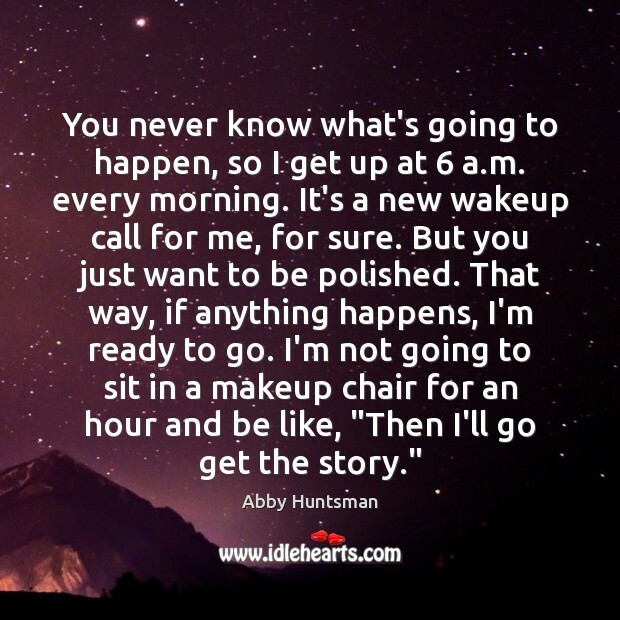 I'm not going to sit in a makeup chair for an hour and be like, "Then I'll go get the story." 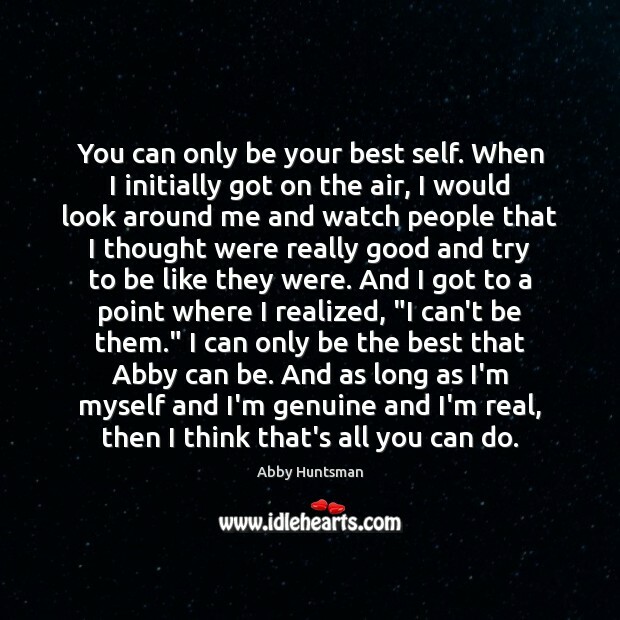 You can only be your best self. When I initially got on the air, I would look around me and watch people that I thought were really good and try to be like they were. And I got to a point where I realized, "I can't be them." I can only be the best that Abby can be. And as long as I'm myself and I'm genuine and I'm real, then I think that's all you can do. I come from a great family and I was raised by wonderful parents. 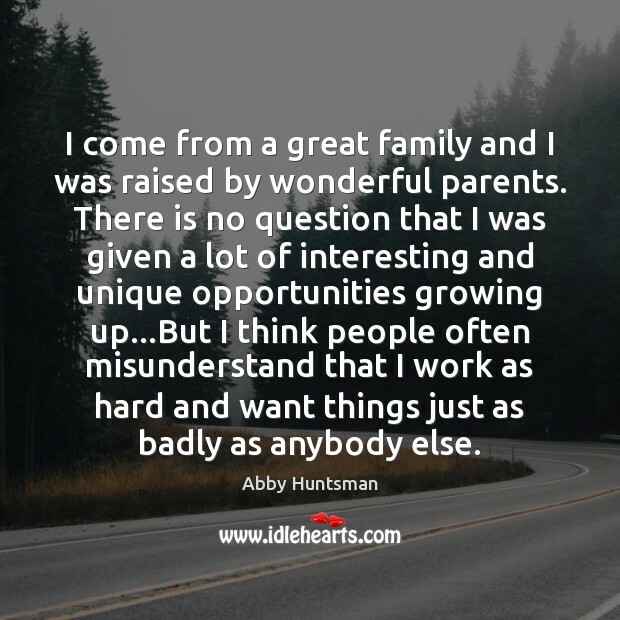 There is no question that I was given a lot of interesting and unique opportunities growing up...But I think people often misunderstand that I work as hard and want things just as badly as anybody else. 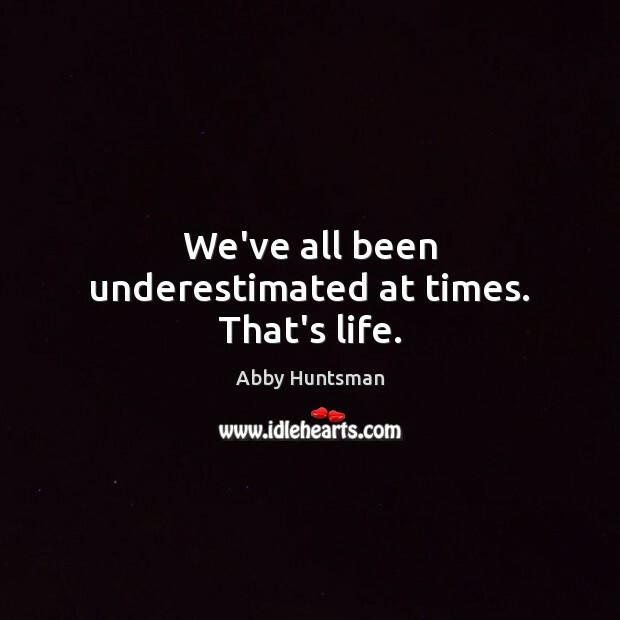 We've all been underestimated at times. That's life. I've always loved news. 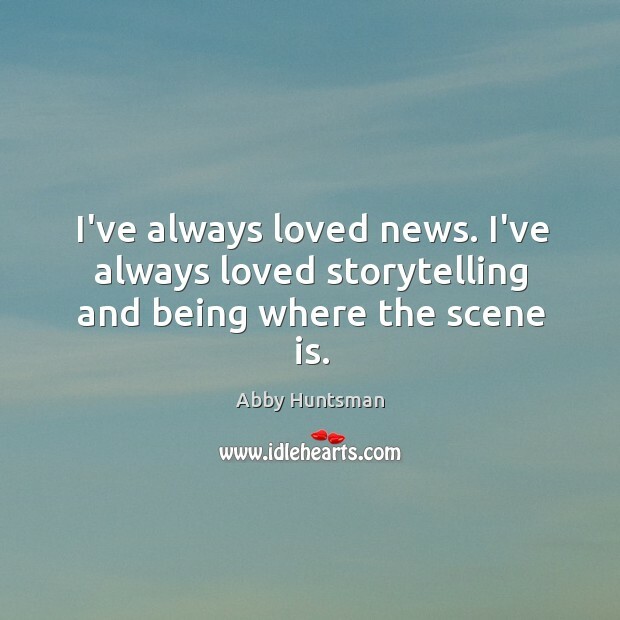 I've always loved storytelling and being where the scene is.